What Should You Expect During A Home Appraisal? 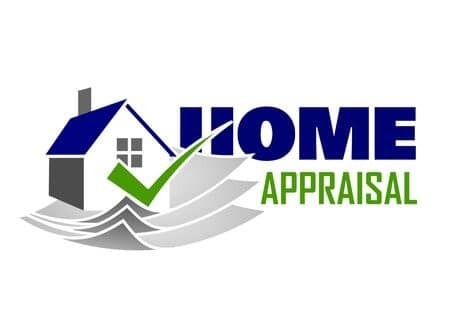 A home appraisal is an unbiased opinion of the market value of a home. Lenders require a home appraisal when money is borrowed to purchase the home. Lender must ensure the amount of money requested by the borrower is appropriate. To a lender a home isn’t a house. It is collateral. The lender’s responsibility is to make sure that if you can no longer make payments, they can foreclosure on it and recoup some, if not all, of their costs. As the seller you should take a walk around your home. As yourself “Does the roof leak?” “Are there cracks in the foundation?” Tell the appraiser if you have made updates such as a new roof, windows, electrical updates, etc. Updates can increase the value of your home. Here are other things you can do to prepare for the appraisal. The buyer of the home pays for the appraisal. Typically an appraisal costs between $250 – $500. Appraisal costs are based on the square footage and uniqueness of the home. The cost is usually added to the buyer’s closing costs. Lenders randomly select a licensed appraiser from a list of appraisers their institution uses. What Happens After the Appraisal? If the home is valued at the amount of the mortgage, the lender will move forward with the closing process. It won’t be long now until closing! If the home is valued above the amount of the mortgage, you automatically have equity in your home! If the appraised value is under the amount you’ve agreed to pay for the home, you have options. It is possible the appraiser overlooked something causing the value to come in low. It’s also possible the buyer overpriced the home. If the appraisal comes in low, talk to your REALTOR. As the buyer, you have options including renegotiating the purchase price with the seller, or asking your lender for a second appraisal. If the purchase price can’t be justified, the buyer can also pay cash for the difference in the appraised value and the purchase price. Still have questions about appraisers? Here is additional information you might find helpful. Do I Have to Buy a Home to Get an Appraisal? Absolutely not. There are many instances when an appraisal is necessary and it has nothing to do with buying or selling the home or property. For instance, if a homeowner passes away, the heirs may need to have an appraisal to determine property values for the estate. It is also necessary in cases of a divorce if one of the spouses wants to keep the home. An attorney can assist you in these situations with getting an appraisal. Just a reminder this Sunday is the Holiday Open House in Metropolis IL. Shops and boutiques will feature specials throughout the day to get you ready for the holiday season! Details can be found on the Metropolis Chamber of Commerce Facebook page.